Riccardo Savi is a press and commercial photographer based in Washington, DC, and working on assignment worldwide. 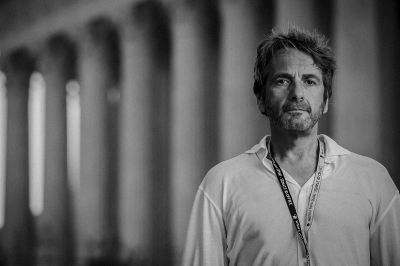 Born in Italy, Riccardo grew up with an extreme passion for the mountains, skiing and biking around the Dolomites and the Alps since childhood, until eventually moved to Los Angeles and worked in the art department as a set decorator and assistant art director for fashion photographer and icon Herb Ritts. On some of the world's most highly recognized images in fashion and art, Riccardo learned the crafts of staging and studio and location lighting. Known for his ability to capture the most fleeting moments in a vast array of settings, Riccardo photographs for clients, corporations, and agencies around the world, including Getty Images and Zuma Press. He is certified by the FAA to take drone aerial imagery. Riccardo believes that the ability to adapt rapidly to changing light in a variety of circumstances is key to creating imagery. His style is candid, classic, and non-intrusive. He is environmentally conscious and an animal rights advocate. He has a fourteen-year-old daughter, and a twelve-year-old son.